As I continue through Peter Leithart's The End of Protestantism, I remain a little off put by the order of presentation. The actual content of the book is quite good. Leithart says many good things, but their order sometimes leaves me with questions. It is things like this that leave me wondering what Leithart wants his final word to be. 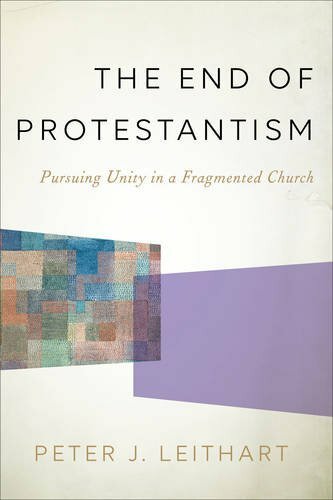 In his concluding chapter, Leithart depicts the "intermediate ecclesiology" in very cross-denominational communion — not a collapsing into one church. I find myself regularly nodding my head with Leithart only to wonder if I am contradicting myself alongside him.